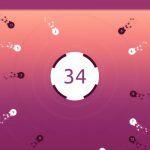 Bouncing Ball is one of the many easy-as-pie games from casual game specialist Ketchapp. Just like a uber-casual title should, it’s available for both Android and iOS devices alike. Just as always, Ketchapp has gone the minimalist route, opting for a game description as simple as the game itself – “Bounce the ball and avoid touching the spikes.” The game also comes with floating power-ups that can change the game’s colors, but don’t do anything else as far as actual gameplay is concerned. 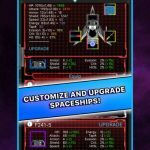 All in all, it’s another back-to-basics gaming experience from a company well-known for such titles, and we’ve collected some useful Bouncing Ball cheats and strategies to help you chase that high score of yours, or that of a friend. It’s going to take a bit of practice to get this right, but at the end of the day, it really isn’t such a difficult thing to master. 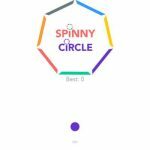 What you don’t want to do here is to wait too long before tapping on the screen; that’s going to have your bouncing ball come in contact with a spike, thus ending your game. We suggest trying to get the timing right, which is to tap a bit early so you can go over the spike once the ball is at its highest point. 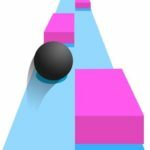 While there aren’t any power-ups that could change the way your ball bounces, Ketchapp does try to spice things up a bit by adding a few obstacles and challenges as you make your way through the game and keep increasing that score. Once you reach ten points, for example, the ground below you may change a bit in terms of elevation. This will force you to change the way you judge distances, so keep that in mind. Aside from the ground’s elevation changing at a certain point in the game, you’ll also have to watch out for the ball becoming bigger as well. The speed in which the ball bounces also changes, and that’s going to leave you with no choice but to rethink your strategy on the fly. 4. What To Do With Those Power-Ups? We personally believe that it’s a misnomer to call those floating squares “power-ups” like Ketchapp does. As stated earlier, they don’t affect the mechanics of Bouncing Ball, but simply change the color palette. If you feel this is going to throw you off and provide additional distractions, we suggest avoiding them, as that won’t change a thing if you don’t collect the squares. Likewise, feel free to collect those squares if you feel that the same old background is cramping your style. Color changes may be bothersome to some players, but advertisements even more so for a greater percentage of players. If this sounds like you, then turn off your Wi-Fi connection or play the game while in airplane mode so you can play without having to deal with the occasional pop-up ad.